"Like many of you, I continue to grapple with America's ultimate sickness, seeking understanding, and ways to eliminate bigotry from my life. It took me years to realize, I couldn't control the habits and prejudices of others, but lord knows, I bumped my head hundreds of times trying. At times, based on my experiences, I felt preordained to carry this burden alone. Man, it's heavy. I'm glad I let that nonsense go, realizing we were all in this together." 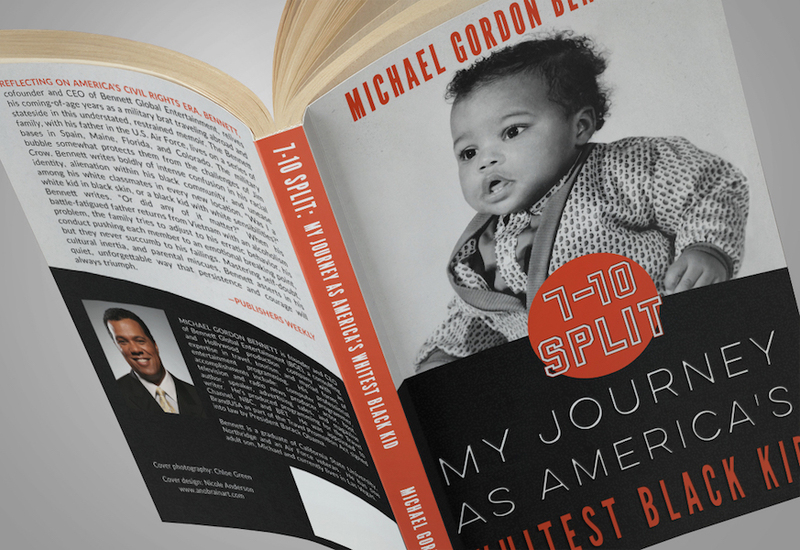 So writes Michael Gordon Bennett in the prologue to his new memoir, 7-10 Split: My Journey As America's Whitest Black Kid. It's one of the many, many times in the book where Bennett's candid style and understated way with words communicates the anguish of growing up on the wrong side of a society wrought with racism. "...Bennett's story of growing up as a black boy in a racially fractious time is certainly not a typical one. In fact, Bennett's viewpoint on the subject is groundbreaking for two reasons, both of which make his account of national history and his history fascinating.."